US President Donald Trump informed Palestinian President Mahmoud Abbas today that he intends to move the US Embassy to Jerusalem, Abbas’ spokesman said. The statement did not say whether Trump elaborated on the timing of such a move. 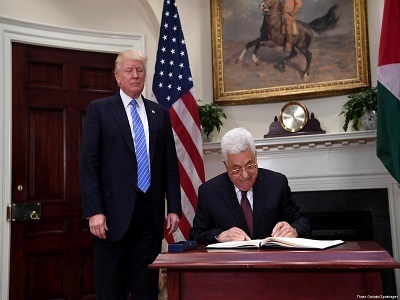 “President Mahmoud Abbas received a telephone call from US President Donald Trump in which he notified the President of his intention to move the American embassy from Tel Aviv to Jerusalem,” spokesman Nabil Abu Rdainah said in a statement. 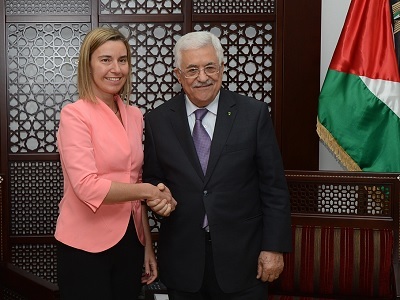 “President Abbas warned of the dangerous consequences such a decision would have to the peace process and to the peace, security and stability of the region and of the world,” Abu Rdainah said. Palestinian movement Fatah, which Abbas heads, yesterday called on Palestinians to start a new intifada in support of Jerusalem as news circulated that the US is to announce it is to move its embassy. 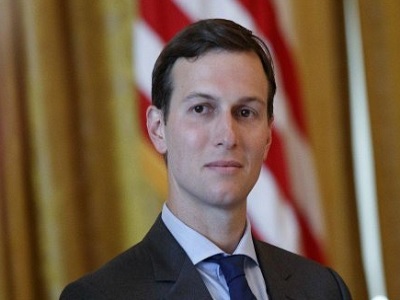 Numerous international players have warned the US against moving the embassy as it would change the status quo in the conflict and lead to further unrest. May have also warned that this would further hinder negotiations to end the 70-year-old conflict.